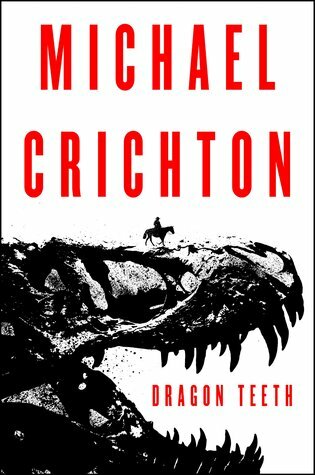 I haven’t read much of Crichton’s work. The only book I’ve read was Jurassic Park and, well, I loved it. The writing, characters, and science was great. Perhaps not completely accurate, but I still loved it. This book simply sounded like it. I did no research on this book before jumping in. Author, title, and cover really drew me in and I was happy to keep it that way. One of the things with this book is that the plot and characters are one. It follows the tale of William Johnson, a rich boy who decides to take a bet to go with a professor to find fossils. At first, Johnson (as he’s called throughout the book) is so annoying. He’s a cocky, rich student at Yales who crashes things for fun. However, he goes through such a radical change. He becomes a determined student in order to even go on the hunt, then he gets caught up in the hunt for bones in the West. The book was very fast paced at first. I enjoyed getting to know Johnson as a person, seeing him develop and grow. Then, there were Indians and soldiers and crazy rivalries between paleontologists. However, it got slower from there. The journey back, if you can call it that (and not in a bad way) wasn’t as interesting for me. It got better right at the end, but it never quite regained the pace it had. Another downside for me was that there were so many semi-important characters as the book moved on. I had hoped for more to come back around or for them to stick around, yet most just didn’t except in memory. The only other two main characters, outside Johson, were Cope and Marsh, two very really people. This book was based on fact. Cope and Marsh were two men who hunted bones and had a very real hatred towards each other. Founding on that relationship and the things they did to each other was fascinating. I came into it having a slight hint that I had heard those names before — couldn’t place them, but I had heard their story — so it brought such a great blend of history to this that it felt I was reading nonfiction at times. Crichton really was meticulous in this book and it shows. Really, what this book made me do was want to read more of his work. And it makes me sad that I couldn’t have enjoyed him more while he was still alive. He’s a great author and this book impressed me more than Jurassic Park did because of such a dynamic main character and the fantastic way real personalities worked into this book.